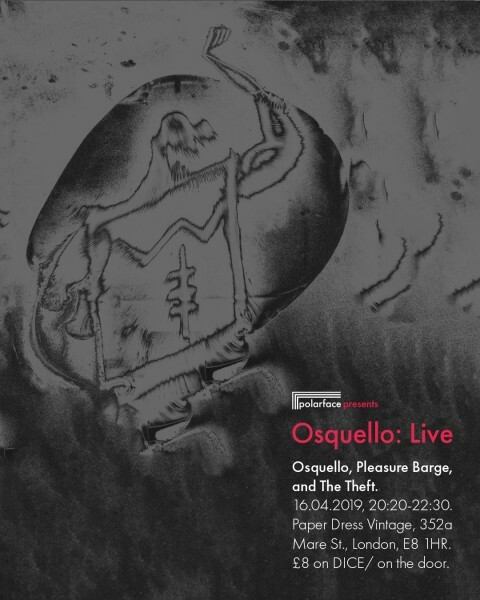 Hailing from North London, Osquello fresh electronic sound is influenced by jazz and soul. Coming off the back of a fresh EP titled ‘Good Morning Stimulation’, his style, voice and artistry has made all of us at Polarface a fan, hence why we had to curate a special for him. Manchester based five-piece, Pleasure Barge will be joining us providing us with the spectacular sounds of Indie, Dance, Funk and Soul. Pleasure Barge have been generating great waves in Manchester and it was only right, we had them down at the Paper Dress so you London lot understand why we are big fans of the group. Lastly, our favourite duo, The Theft have made all of us at Polarface huge fans of their music and it was only right that we had to feature them in this showcase. The Theft’s influences ranging from dance, world music, rap and indie, makes them one of London’s most exciting group and we feel it and we’re certain you will too.